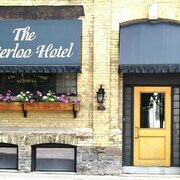 The hotel is located close to the expressway, shopping and the downtown core of Waterloo (by car). I would recommend this to anyone looking to stay in Waterloo for sure! 10 years ago this place would have been the best in waterloo, it has a resort like setting large sitting areas in the courtyard beds are very comfortable rooms are small but functionable. 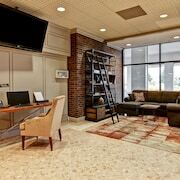 When planning your Kitchener dream vacation, you can relax because you will find an array of comfortable hotel options in Waterloo. You can search 30 hotels within 0.1 kilometres (0.06 miles) of Waterloo's downtown in Expedia's up-to-date accommodation section. 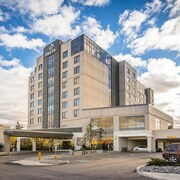 The Suite 76 and Delta Hotels by Marriott Waterloo are some of the most central accommodation options in Waterloo. 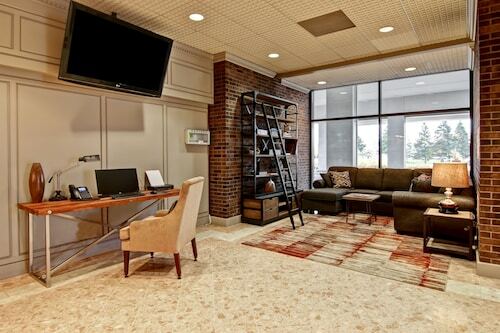 Waterloo offers just a handful of no-frills lodging options. You will find the Comfort Inn Waterloo 1 kilometre (1 mile) from the center of town. 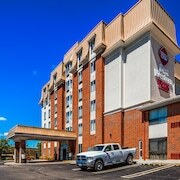 The Courtyard by Marriott Waterloo St. Jacobs is 5 kilometres (3 miles) from the central part of Waterloo. Alternatively, the Holiday Inn Express Hotel & Suites Waterloo - St Jacobs is 5 kilometres (3 miles) away. 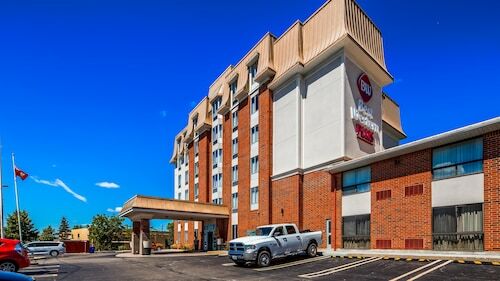 More accommodation options worth checking out around Waterloo are the Waterloo Inn Conference Hotel and the Homewood Suites by Hilton Cambridge Waterloo Ontario. The broader Southern Ontario area is definitely worth visiting also. Southern Ontario has beaches. Commonly visited Southern Ontario tourist attractions are traditional villages and churches. In this section of Canada tourists can try their hand at skiing and cross-country skiing. Guelph is 25 kilometres (15 miles) to the northeast of Waterloo and is where you'll find University of Guelph and Stone Road Mall. 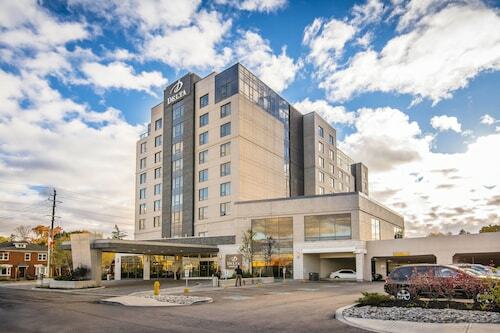 Guelph hotel options include the Delta Hotels by Marriott Guelph Conference Centre and Holiday Inn Guelph Hotel and Conference Centre. 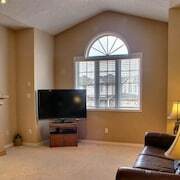 Or, you could stay in Elora, 25 kilometres (16 miles) to the north of Waterloo, where you can choose from the The Village Inn and Best Western Plus Fergus Hotel. If you're staying in Elora, be sure to check out the Zipline Extreme and Elora SkyRider Zipline. Get your fix of local sport with a trip to Air Canada Centre, which is 95 kilometres (59 miles) to the east of Waterloo. Those sports fans wishing to find a bed near to the sporting action can take their choice from the The Ritz-Carlton, Toronto or the Four Seasons Hotel Toronto. Check out Expedia's up-to-date Waterloo travel listings and explore the great cultural and scenic attractions that this area has in store.